At Casey, Devoti & Brockland we are committed to keeping our family, friends and clients safe and informed. We stay current on national, regional and local safety and legal issues. We relay this important information through our print magazine and electronic newsletter. Each quarter, we publish and distribute our free print magazine called LIVING SAFER. This publication is brimming with informative content on home and product safety, wellness, lifestyle and family, nutrition and more. 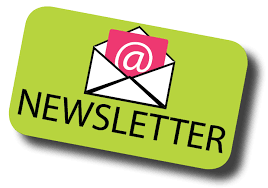 Several times throughout the year, we email our electronic newsletter. The Casey, Devoti & Brockland eNewsletter provides updates on the latest firm news – including recent firm verdicts, attorney achievements, and community service projects. We want to keep you safe and informed. Please fill out the form below and let us know if you would like to receive our free safety magazine, our electronic newsletter or both.